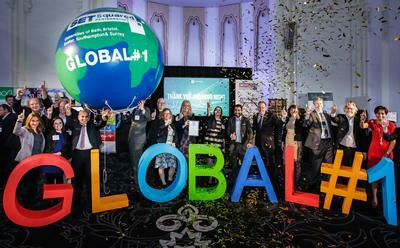 SETsquared is the global number one university business incubator. The University of Southampton has been named as one of Europe’s Most Innovative Universities by Thomson Reuters, the world's largest international multimedia news agency. Southampton was ranked 77th, one of 17 UK universities, in Reuters’ first-ever ranking of Europe’s top 100 innovative universities. The list identifies the higher educational institutions that are doing the most to advance science, invent new technologies, and help drive the global economy. Don Spalinger, Director of Research and Innovation Services, said: “It’s an honour for Southampton to be amongst the most prestigious research-intensive universities across Europe. “We are collaborating with hundreds of partners across Europe with a substantial portion of our research income flowing from Europe. We work with corporate, health and public sector partners to ensure our research creates social impacts that are changing the world for the better. To compile its ranking, the IP & Science division of Thomson Reuters began by identifying more than 600 global organisations – including educational institutions, non-profit charities, and government-funded labs – that publish the most academic research. Then they evaluated each candidate on 10 different metrics, focusing on academic papers (which indicate basic research) and patent filings (which point to an institution's ability to apply research and commercialise its discoveries). Finally, they trimmed the list so that it only included European universities, and then ranked them based on their performance.